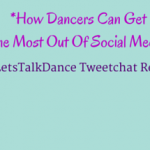 How To Connect With Dancers On Twitter - The Let's Talk Dance Blog - Empowering Dancers To Create A Better Quality of Life! 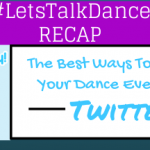 In this video blog (vlog) I share with you one of the best ways to connect with fellow dancers, and dance biz peeps on Twitter. It’s fun, it’s easy, and it’s a great way to build relationships, get resources, get motivated, inspired, and make new friends. Check out the video below, and please leave a comment, and share it on Facebook and Twitter. Let’s continue to build our dance community bigger, stronger, and better than ever! Click Here to learn more about how to use Twitter. 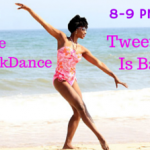 Wanna learn more about our weekly Let’s Talk Dance Tweetchat? Click Here! We’re Having A Twitter Party, And You’re Invited! 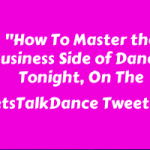 Tags:Dancers on Twitter, how to host a tweetchat, how to use Twitter, Let's Talk Dance, tweetchat, Twitter, what is twitter? We Won The Title Of “Top Dance ‘Business’ Blog of 2011”!